Exclusive 12, 8, 5 or 3 Easy Payments on Nord Stage 3 HP76 Hammer Action Keyboard only at AMS! Free 2 Day Shipping & Free Extended Warranty. Call our Gear Experts at 800-319-9043 for expert advice! Professional musicians choose the Nord Stage 3 HP76 for exceptional sound quality, intuitiveness and award-winning technologies which make it the ultimate instrument. The Stage 3 HP76 features a lightweight Hammer Action portable keybed (E-G) plus the Nord Lead A1 Synth Engine with sample playback, our acclaimed Nord C2D organ, a greatly enhanced Piano Section and extensive hands-on Effects - all in one exceptional performance keyboard. 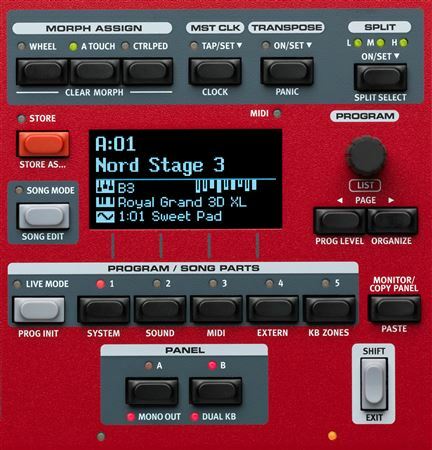 The Nord Stage 3 HP76 keybed uses amazingly portable weighted hammer action piano keys, limiting the weight of the Nord Stage 3 HP76 to only 12.4 kg (27.3 lbs). Key range E-G. Each Fatar keybed is meticulously calibrated at the Nord factory to ensure an even response over the whole range. If you want authentic pianos this is it! 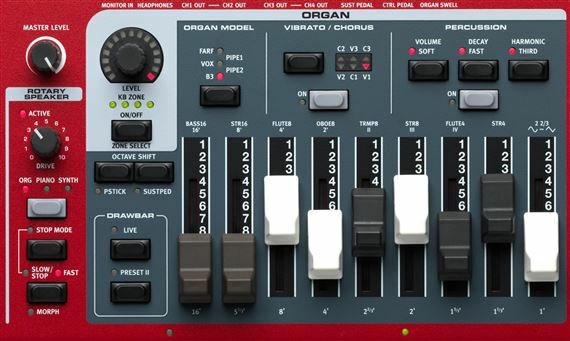 If you want amazing synth control, this is it! EPs are excellent! The only thing I had to get used to was the hammer action. It feels a little stiff until your fingers get used to playing it. 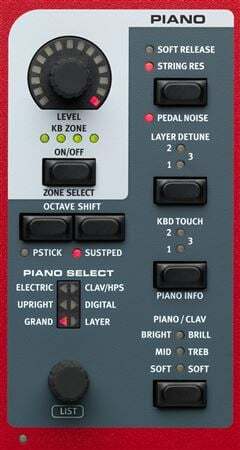 This is not for organ playing and it has the C2D organ engine but waterfall keys are much better to play organ trills and such. However if you are just doing basic chording, the organ sounds are awesome! This is my go to keyboard for traveling as it is light as a feather, at least compared to my 88 key Yamaha. Coming from an original Stage 88, the Stage 3 is leaps and bounds better in all regards. The Hammond (and all organs for that matter) are great sounding with realistic vibrato, chorus, Leslie, etc. The Pianos are quite nice, and can be dialed in with softer or sharper sounds on the fly. 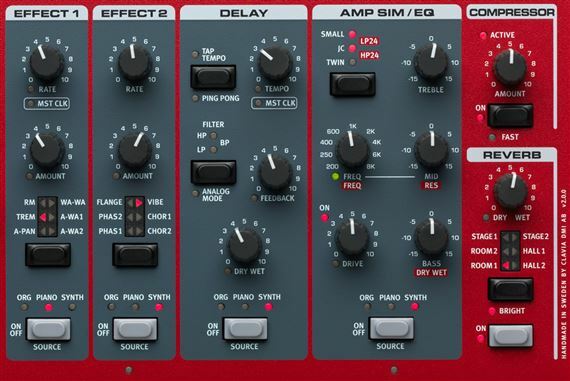 The additional samples are great, and I just started to touch the A1 synth engine. So far--so good. Glad I switched to this model.